Great service. All questions answered. Will definitely use again and recommend to others. I called Precision with a non-emergency issue and they were out the next day! Dustin was not only knowledgeable but extremely professional and courteous. I will use Precision and recommend it to all of my friends and colleagues because of my interaction with Dustin and Precision! Thank you again! Thank you! Your business and recommendations are greatly appreciated! I had garage opener installed on 11/21/18. The tech, Dustin was very professional and knowledgeable, which helped me select the appropriate opener. After assembly, he took the time to explain operation and program features. Excellent customer service! Thank you! Enjoy the new garage door opener! Technician explained in detail all that needed to be done and the cost involved. He was very knowledgeable and professional. We were very pleased to have received a senior discount also. Thank you for choosing Precision! Your business is greatly appreciated! My garage door spring broke on Saturday. I called later that day and was able to get an appointment for Monday morning. As promised Dustin call when he was 30 minutes away and arrived on time. He took the time to explain my options so I could make an informed decision on what was the best option for me. I never felt rushed or pressured and in a few minutes he was done. Thanks Dustin and Precision! You are welcome, and "thank you" for choosing to call Precision! Let’s begin by stating that Brandon called prior to coming so my mom did not have to sit at my house waiting! Once he arrived he was knowledgeable and personable. It took maybe 45 minutes to get my garage working again! Thanks Brandon and Precision! We appreciate you choosing Precision for your garage door service needs. Thank you! Thanks Precision for a great job replacing the springs on my garage opener. Dustin was very professional and knowledgeable. Very Good! Thank you for choosing Precision! 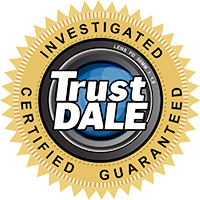 They were quick to get to our home and fixed our damaged door with professionalism, courteousness and precision. We love it that you used "precision" in your review! Thanks for choosing Precision! A friend of mine recommended them and he was right on. The tech. Joe Snyder did an excellent job! The pricing was fair and all the way around it was an excellent value! We want to thank both you and your friend for choosing Precision Garage Doors! We value your business. We had a great experience! Our technician, Ryan, was very nice and helpful. He showed us everything we needed to know about the new opener. We highly recommend Precision Door! I would recommend Precision, very professional service. The techs installed 4 doors and openers for us and were very knowledgeable about the systems installed. Area was left clean and the old doors and debris removed. Prompt, courteous service. Great Job, Thanks! Very knowledgeable and professional. Gave very good advice and allowed me to make an informed decision. Thanks, everything works great and helped explain the parts and options! Great job! Quality service, courteous & affordable. Ryan was super awesome! He explained everything and worked quickly & efficiently. Great job! Technician explained everything; I was pleased. My service technician was David, he arrived on time. He was courteous & professional. He quickly diagnosed & fixed the problem (a broken wire). Another company had told me that my circuit board was burned out & tried to sell me a new motor & drive for $300. It felt liked a con. I'm glad I went with Precision Garage Doors for second opinion. I will use your company again & will recommend you as well. Called in a repair on a late Saturday night and the repair guy was here first thing in the morning...on a Sunday! He was extremely professional and was done in 15 minutes. I would definitely use presicion for any of my garage repairs in the future!